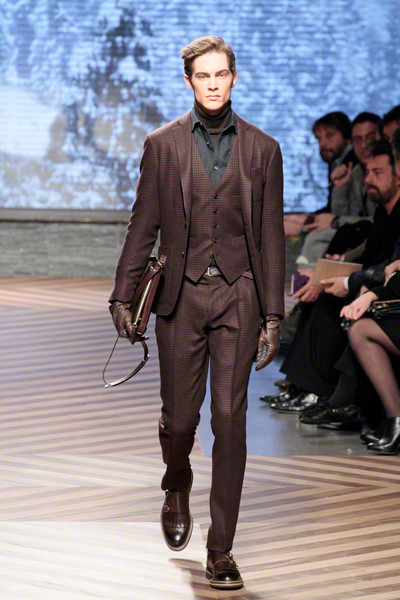 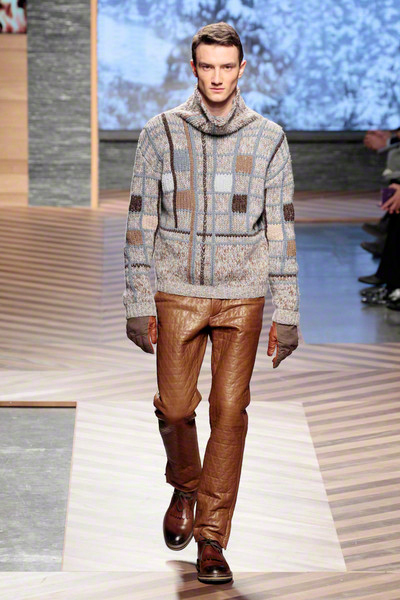 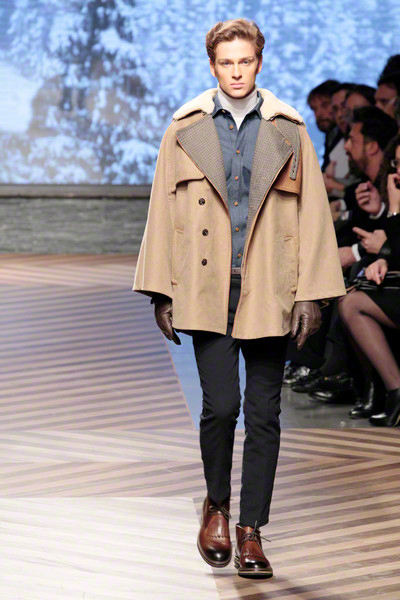 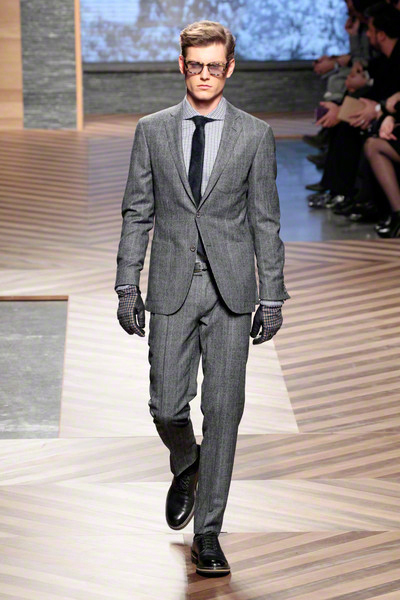 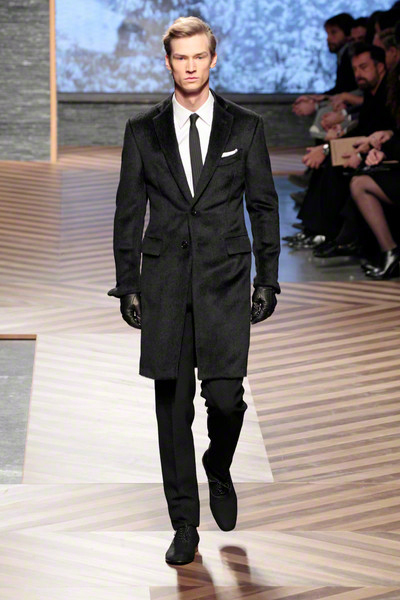 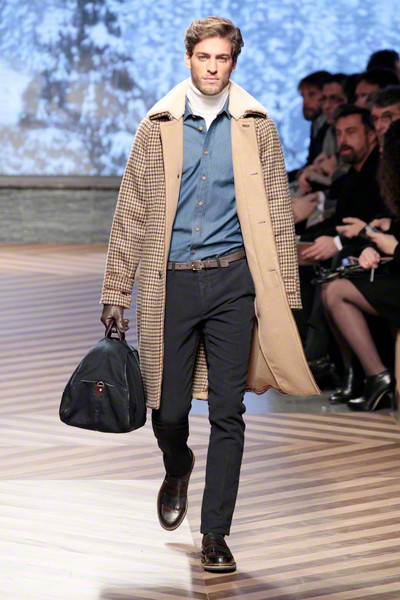 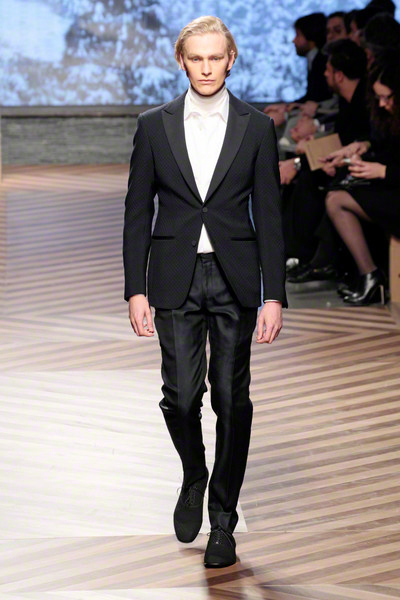 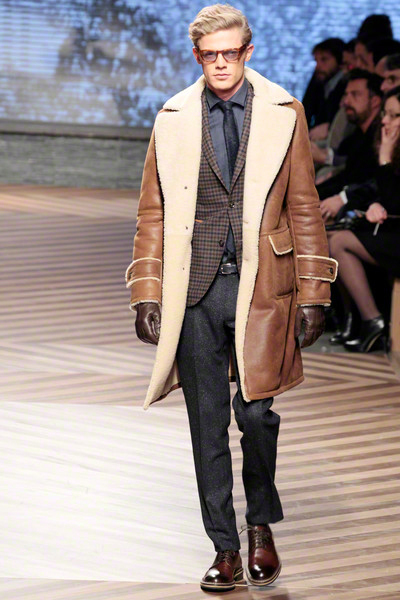 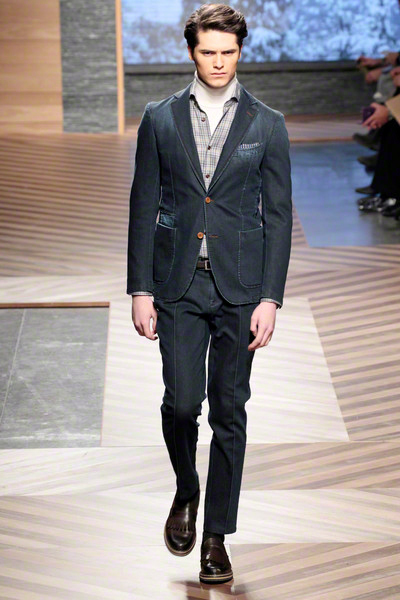 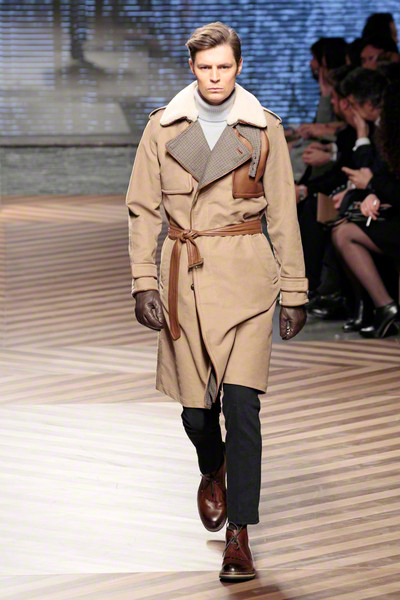 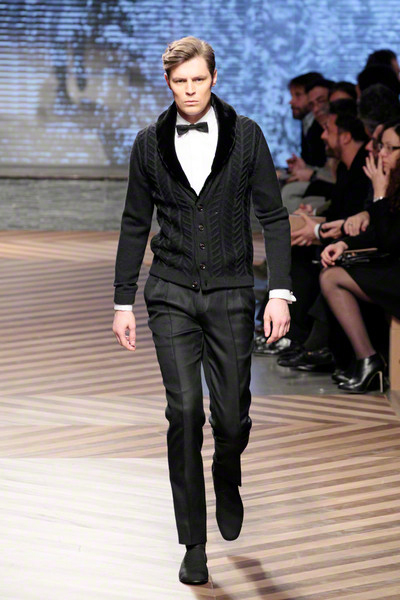 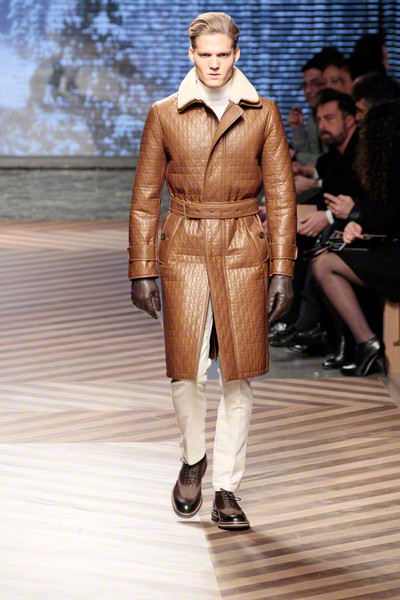 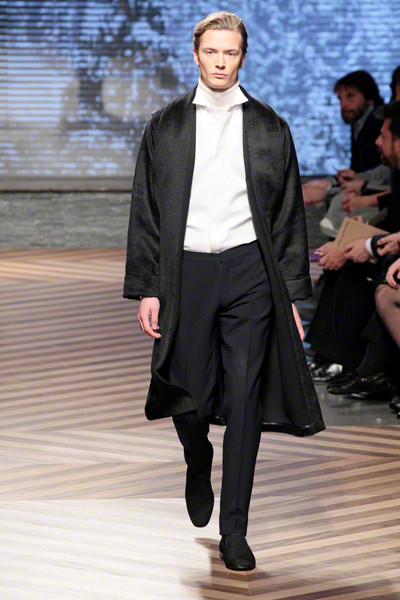 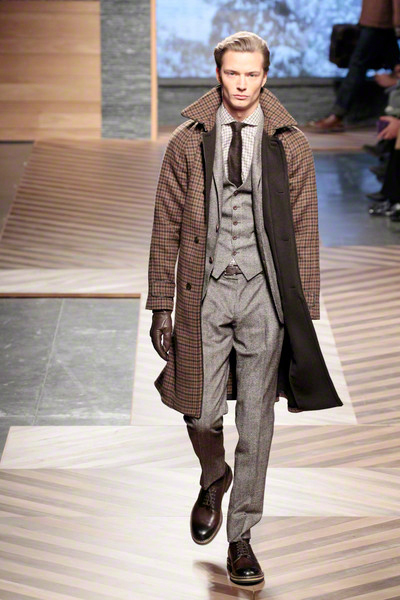 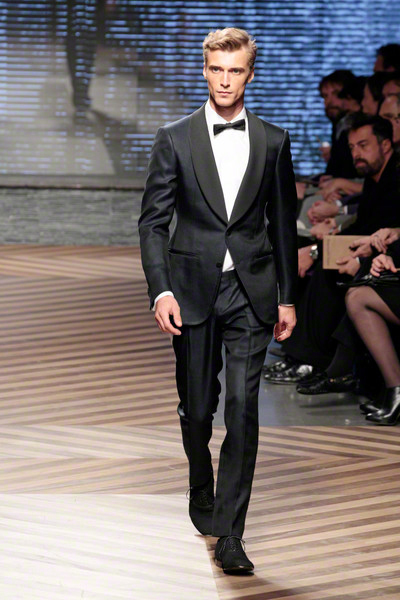 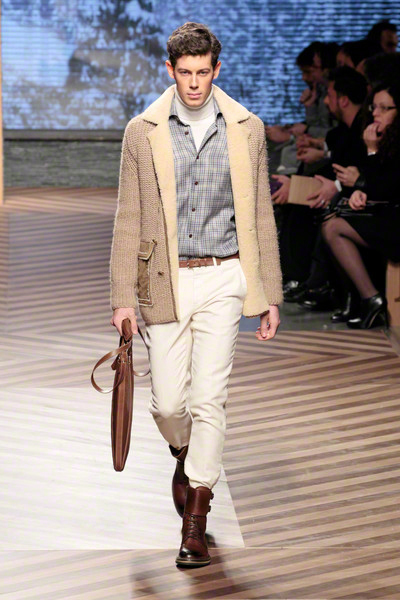 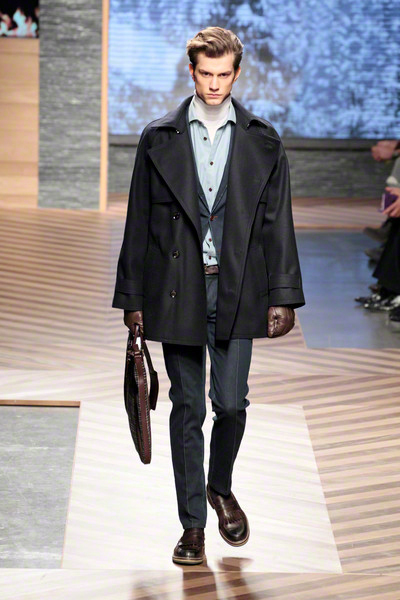 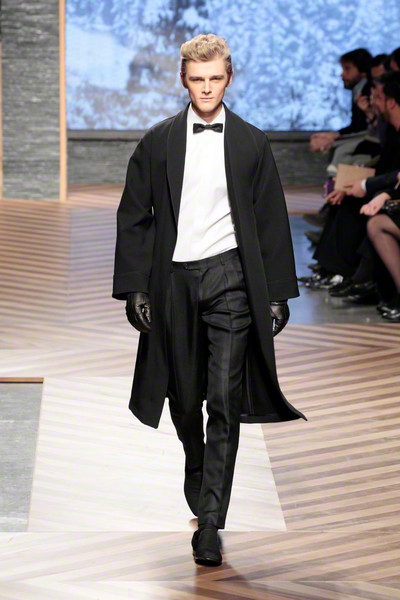 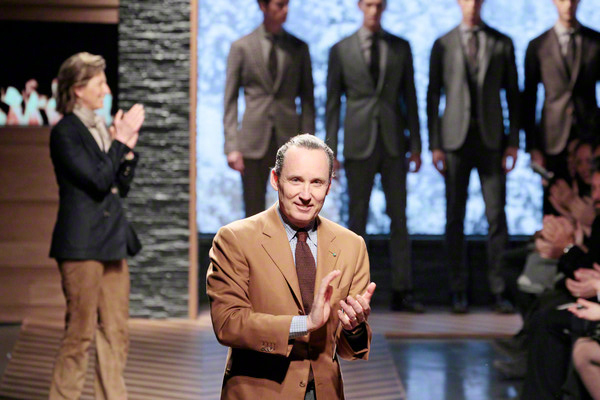 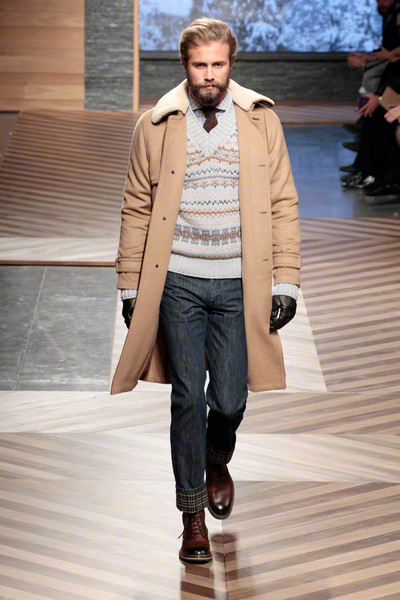 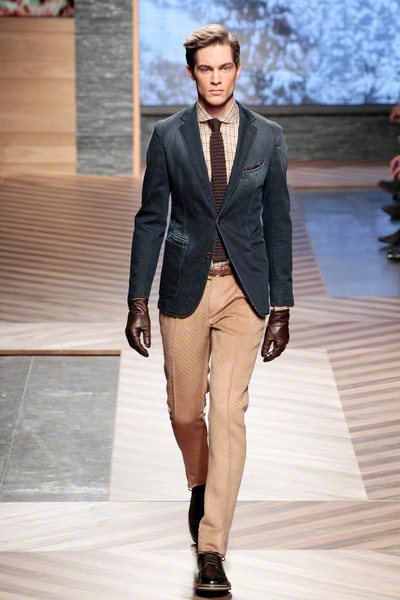 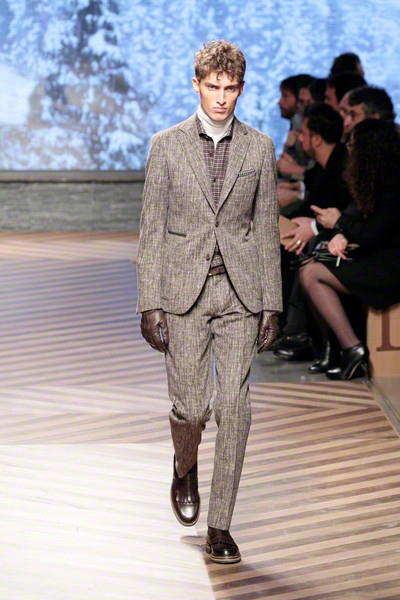 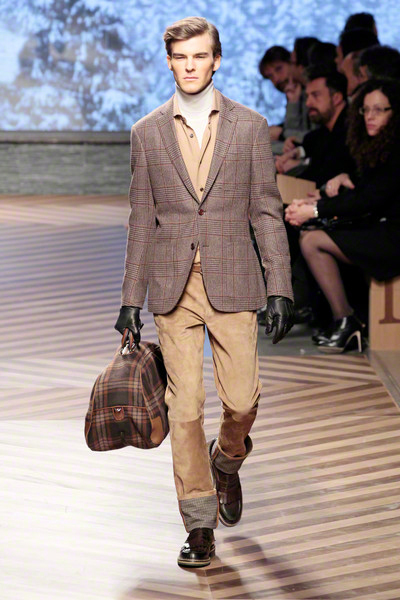 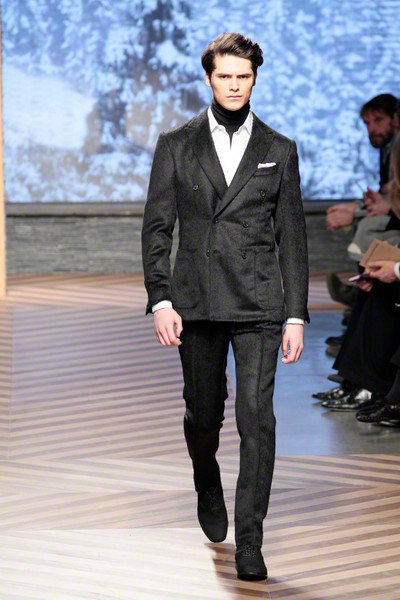 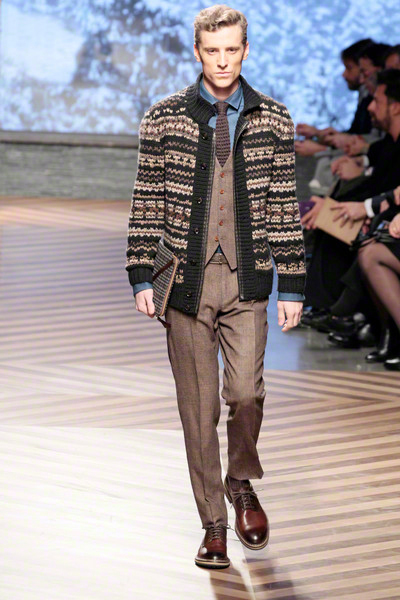 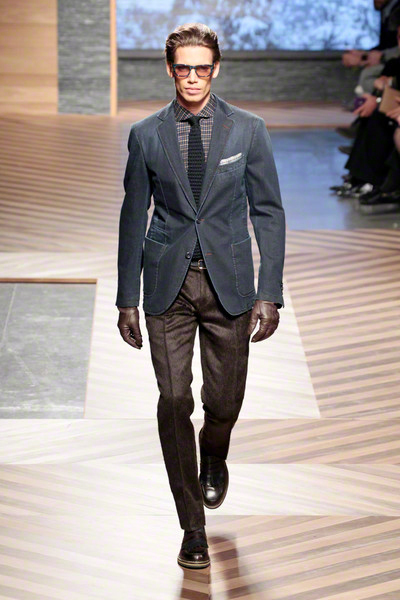 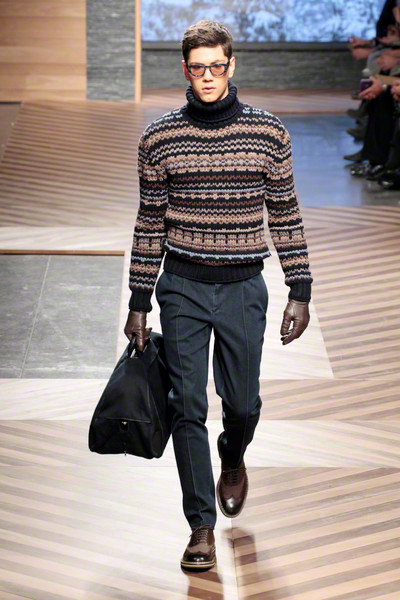 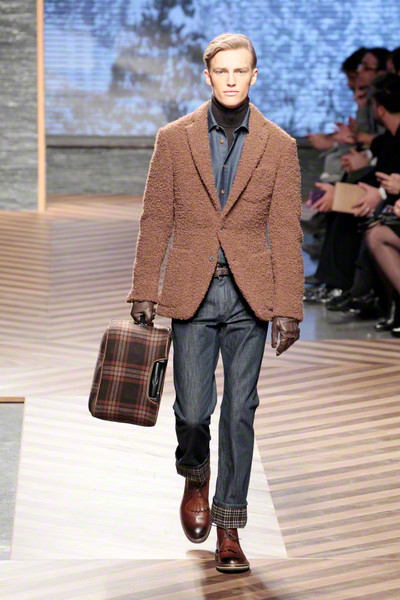 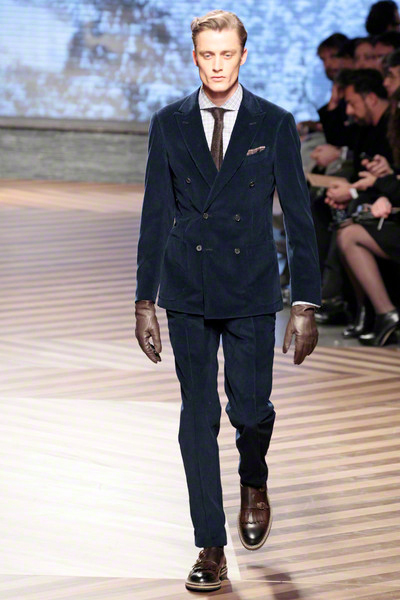 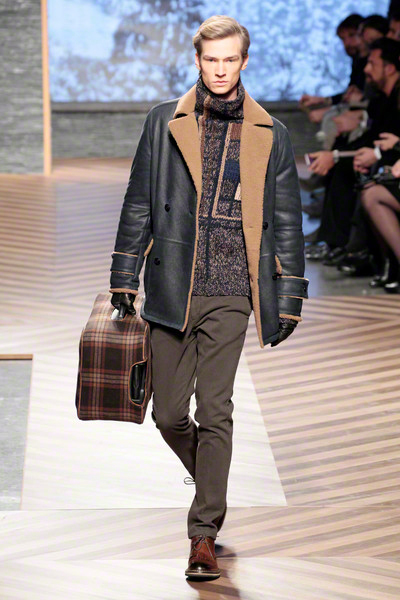 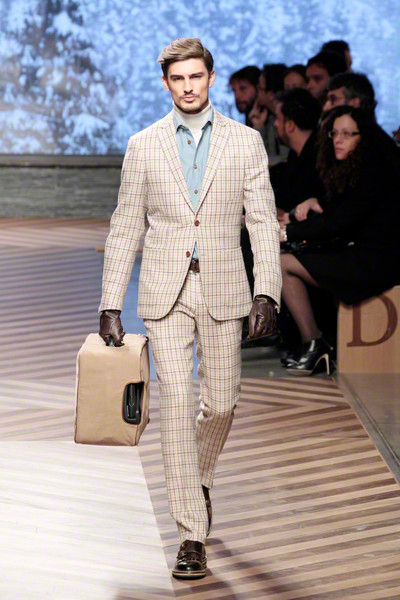 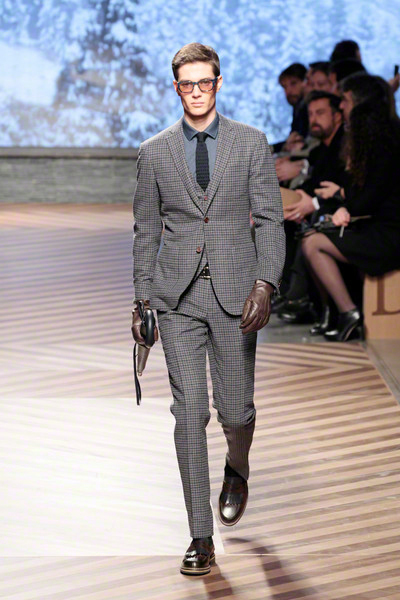 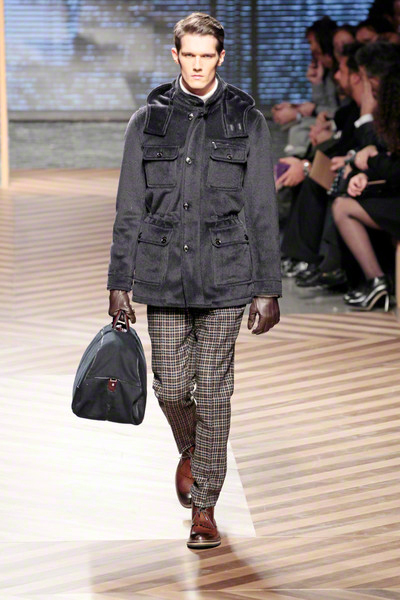 On Saturday Ermenegildo Zegna presented it’s ‘Winter’s Tale’, a collection which combined winter, sport and town wear. 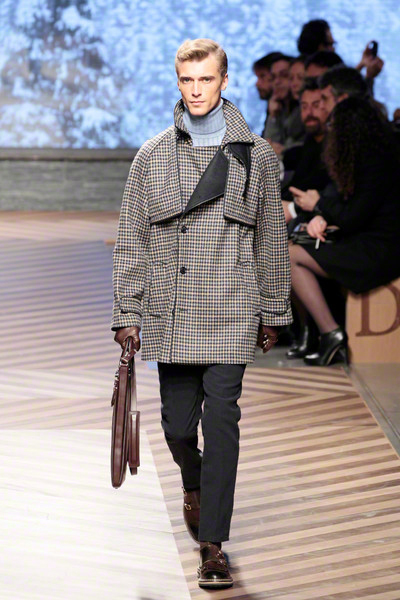 It felt like a very classic collection, and this seemed to be the purpose. 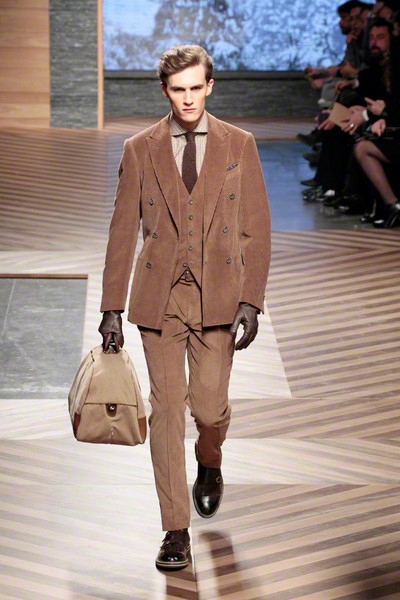 “We didn’t want it to shout or even look too new,” Anna Zegna (one of the family triumvirate that runs Ermenegildo Zegna) told the press. 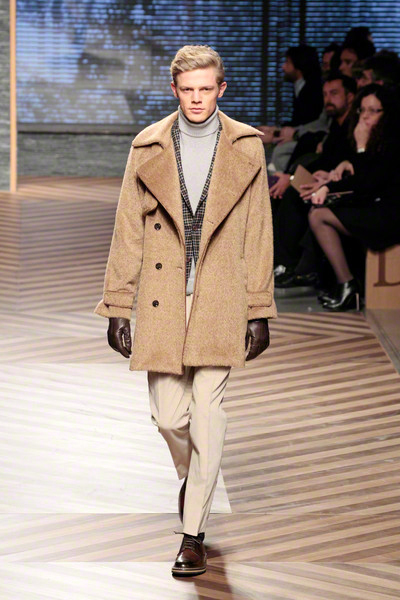 This resulted in checked suits, turtlenecks (worn under shirts), and detailed coats. 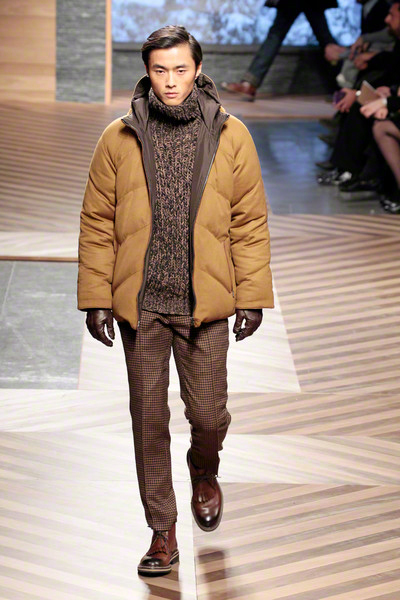 Every single piece of clothing that hit the runway was luxury to the max. 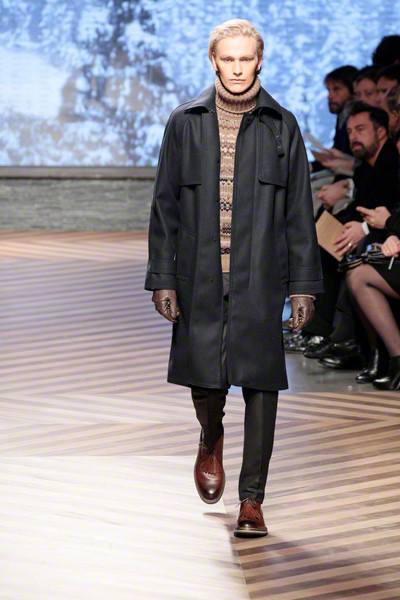 The cashmere turtlenecks, the quilted leather trenches, the shearling jackets and the woolen capes (already a big trend for next fall/winter!). 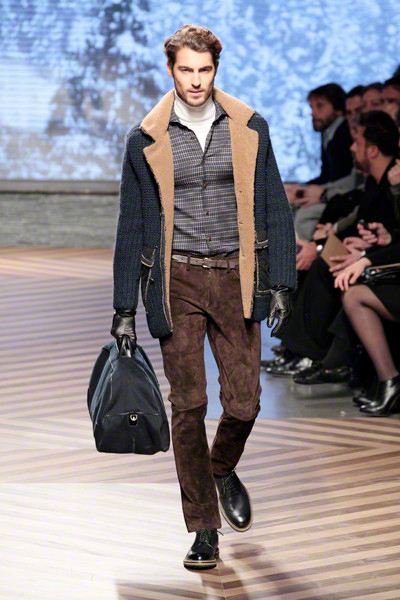 A classic collection for the modern man. 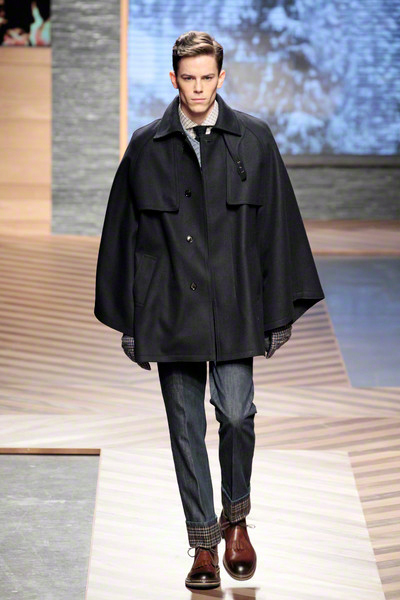 We’re curious to see when the first Zegna capes are popping up in the streets.